One of the speakers at my daughter’s recent high school graduation was a retiring art teacher. He had taught at the high school for seven years after a very successful career in a variety of commercial ventures. A child of the 60’s, he encouraged the graduates to challenge authority, find their voice and push the boundaries. During the speech he also told them to not lose their idealism when they head to the cubicle farm. 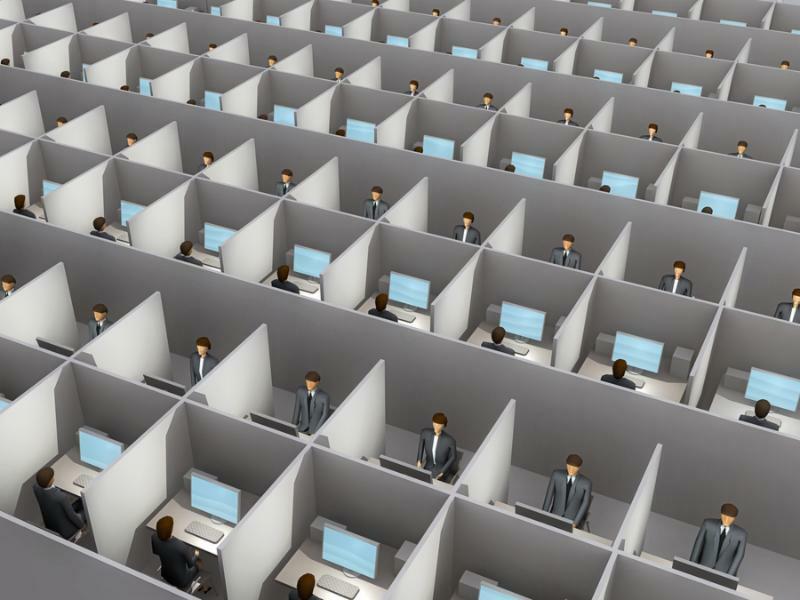 What a great term — the cubicle farm. I flashed forward 10 years and wondered just how many of these kids, who are ready to take on the world, will be feeling deflated, hemmed in and not-so-idealistic because they are living in the cubicle farm. Thankfully, many companies are creating spaces for collaboration and creative thinking that get people outside the clutch of the cubicle. Some are doing away with cubicles all together. That arrangement can cause its own set of issues. In a time when innovation and creativity are needed to create better products and services, better customer experiences and better working lives, cubicles are the antithesis of the answer. Take some time to think about your space and what life is like on the cubicle farm in your company. How’s it impacting people’s enthusiasm for the work? Does it interfere with collaboration and idea generation because people have to plan time for collaboration — and that’s dictated by the fact you don’t have enough conference rooms? How can you get people outside the box? Is an Open-Plan Office a Bad Idea for Your Business?